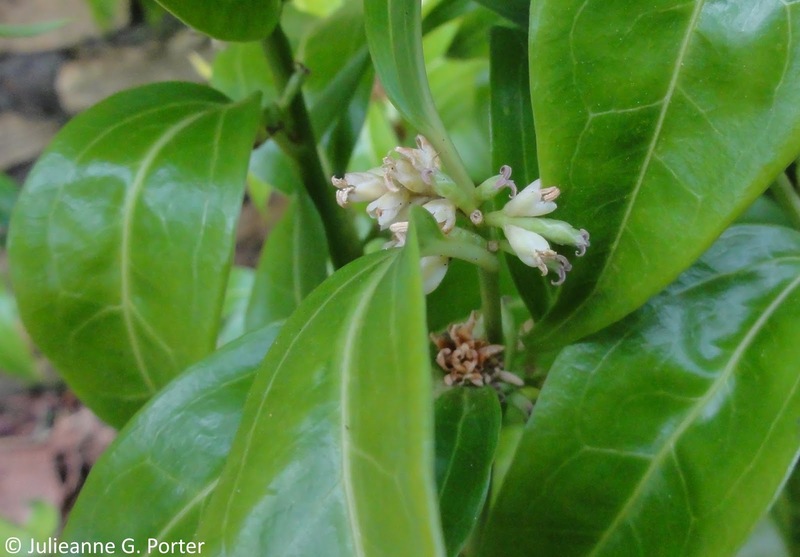 Friends of the Botanical Gardens Sheffield gave a talk on Sarcococca a couple of weeks ago. Here are a few notes from my slightly delayed write up. 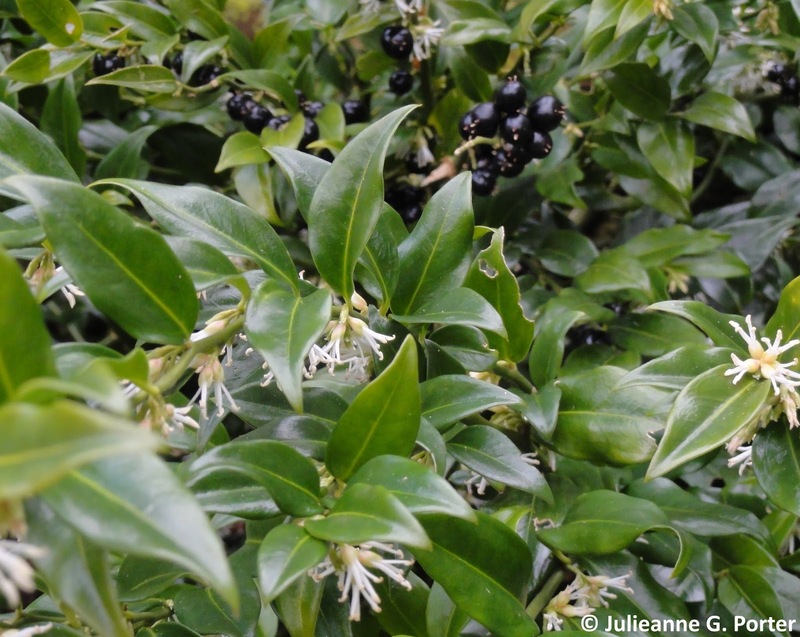 Sheffield holds the national collection of Sarcococca (Plant Heritage), also known as Christmas Box or Sweet Box. 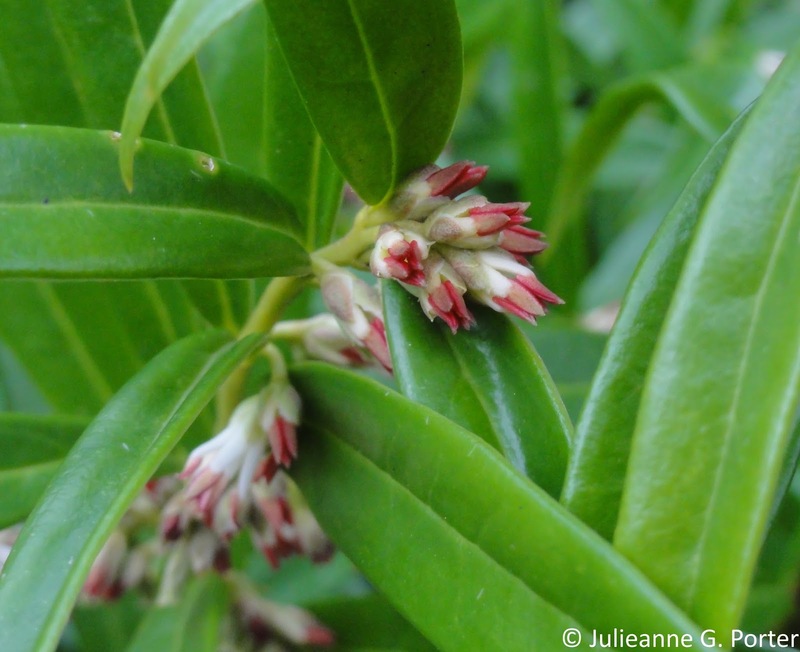 It is an evergreen shrub that is particularly notable for it's amazing fragrance in winter. In fact it's one of those plants many people have smelt, but not known where the fragrance has come from. The talk was jointly given by the Garden's curator Ian Turner, and John Stirling who set up the collection in 2008. For detailed information on individual varieties, and better photos,* follow the links below to John's Sarcococca website. 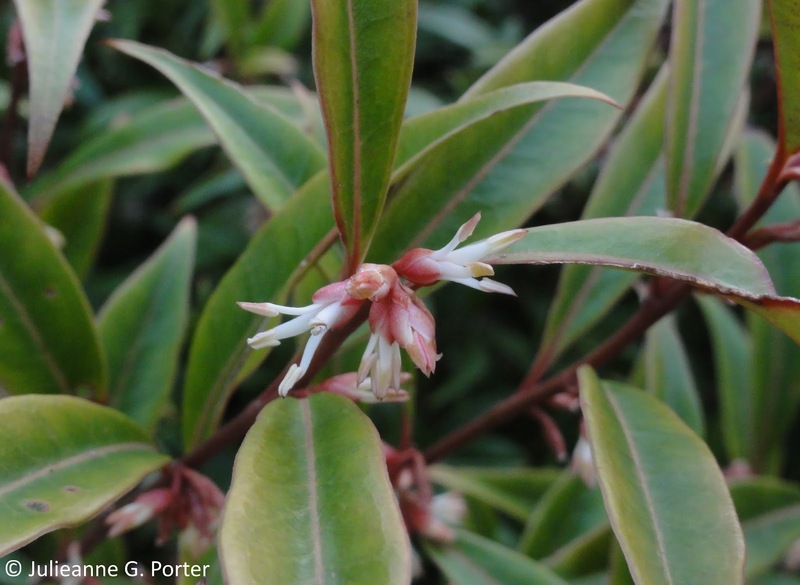 There are about 20 species of Sarcococca and the derive from the Himalayas and East Asia, with the possibility of one, S. Conzatti, from Central America (this is still to be clarified). Ian suggested that the best scent comes from S. confusa, S. ruscifolia and S. hookeriana var. humilis. 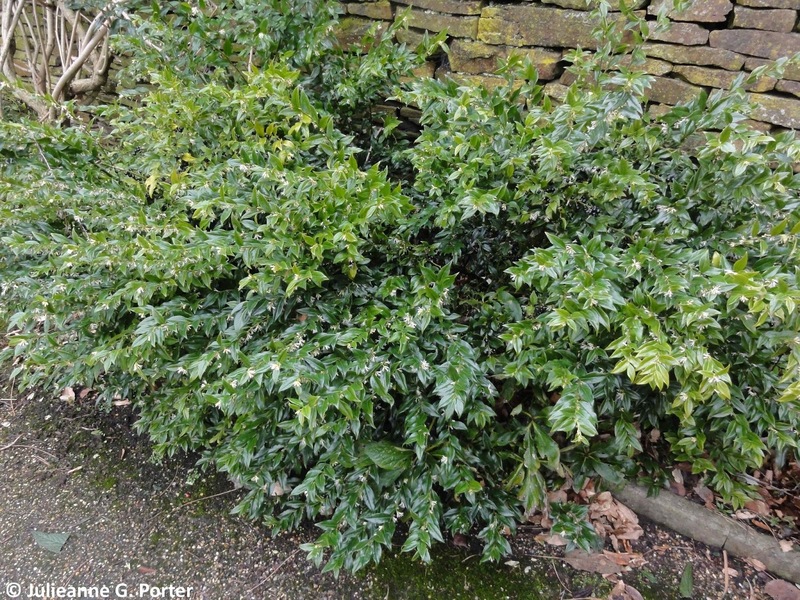 He also said that S. ruscifolia, although not as big as S. confusa, can be trimmed and turned into a hedge. So a possible replacement for those of you affected by box blight. 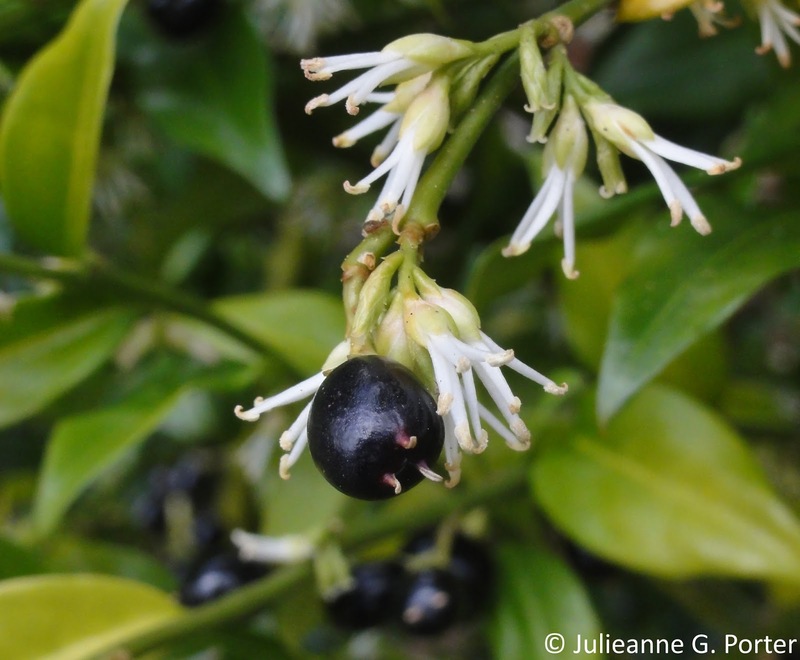 Most varieties of Sarcococca have three stigmas, though S. hookeriana var.digyna has two, and a majority of varieties end up with black berries, with S. ruscifolia only displaying red berries. John mentioned that only one variety has little or no fragrance, that being S. saligna. From a cultivation perspective, Sarcococca prefer part shade to full shade, a dream for those of us with north-facing borders. They will also tolerate full sun, and deepest shade too. Ideally humus rich, free draining soil, though I have found that S. confusa to do well in a part of my garden that is boggy, i.e. not free draining. I got the overall feeling that there isn't a garden in which Sarcococca wouldn't grow. And you can grow them successfully in containers too. 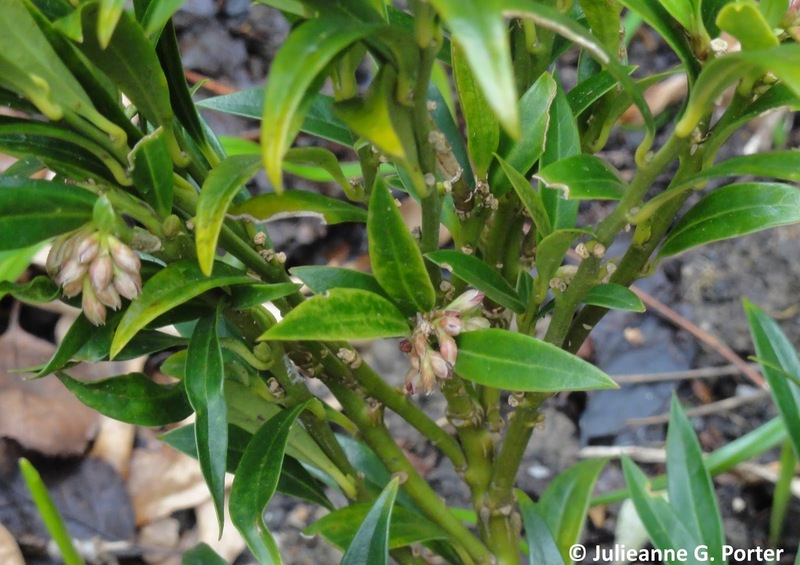 Sarcococca are slower growing shrubs, and from planting will take a season to establish. Otherwise they require little care other than an occasional mulch. S. confusa flowers and berries. The berry clearly shows the remains of the three stigmas. S. wallichii with the flowers gone over. I rather like the leaf markings. This is just a few of the Sarcococca that can been seen at Sheffield Botanical Gardens. 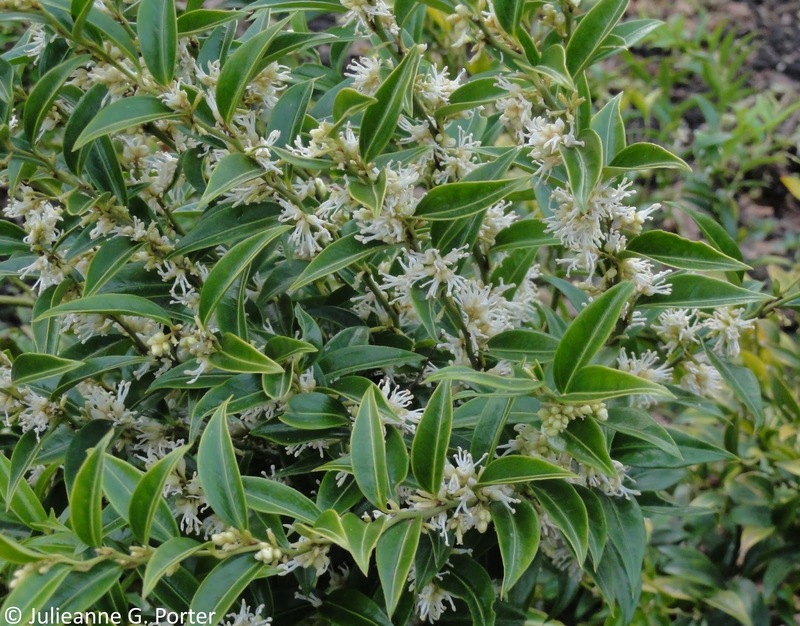 In-depth detail for many of the varieties can be found on the Sarcococca website. 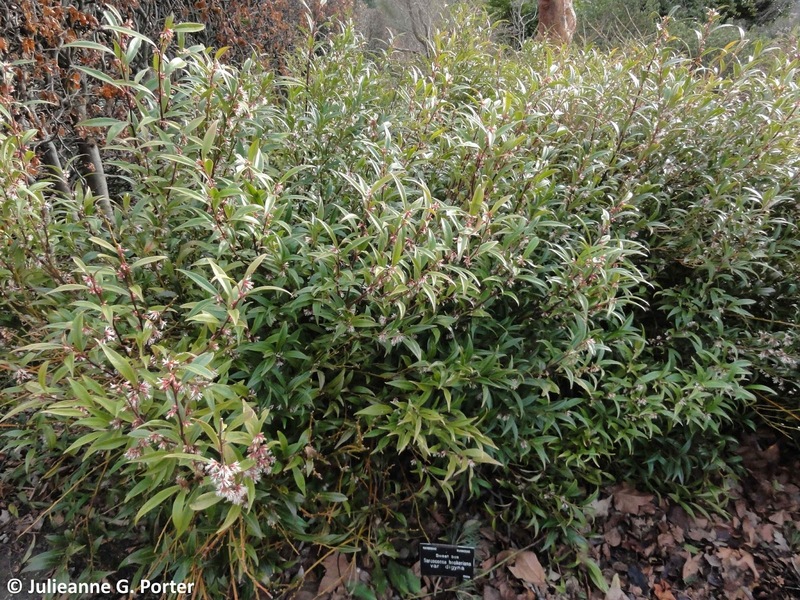 Of course, the best way to enjoy Sarcococca is to visit Sheffield Botanical Gardens in winter and into early spring. When you get to the gate, just follow your nose. *Sarcococca is a hard plant for an amateur to photograph on a rather windy day. Lots of good information here, sarcococcas are staple plants in my garden and being evergreen I really would not be without them. I have two S. hookeriana var. digyna and one S. confuse, all three are old, mature and very big. One of the hookerianas is so big that I actually hard prune it every year and it still keeps taking over the allotted space. When I get down to the bottom of my garden the scent is absolutely heavenly and the bees are already out now and feasting on them.